Featuring Sig Sauer's BDX technology, the Kilo BDX is the world's most advanced laser rangefinder. When paired with a Sierra 3 BDX riflescope, the onboard Applied Ballistics Ultralite calculator sends ballistic drop data via Bluetooth directly to the Sierra 3 BDX's BDX-R1 reticle, providing an illuminated holdover dot and wind hold. 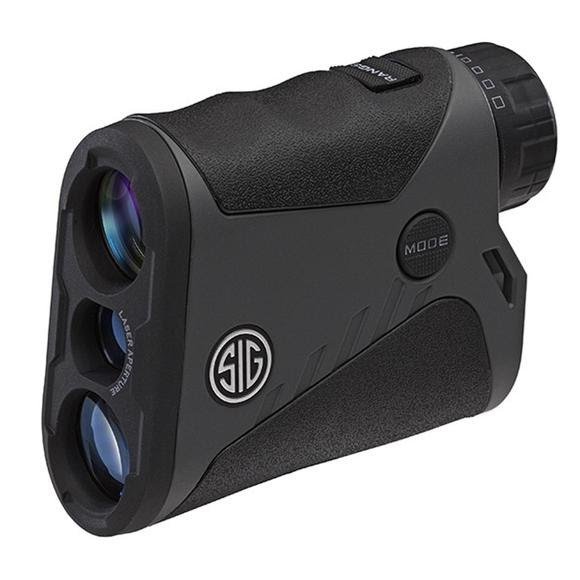 Featuring Sig Sauer &apos;s BDX technology, the Kilo BDX is the world&apos;s most advanced laser rangefinder. When paired with a Sierra 3 BDX riflescope, the onboard Applied Ballistics Ultralite calculator sends ballistic drop data via Bluetooth directly to the Sierra 3 BDX&apos;s BDX-R1 reticle, providing an illuminated holdover dot and wind hold. Download the free BDX App for iOS or Android to set up ballistic profiles and synchronize custom profiles to your Kilo for exact ballistic solutions. The BDX rangefinder and riflescope system is simple, fast, and intuitive. Simply download the SIG BDX app available for Android or iOS smartphones, pair the Kilo BDX rangefinder and Sierra 3 BDX riflescope, set up a basic ballistic profile, and then you&apos;re ready to shoot or hunt. Lightwave DSP (Digital Signal Processing) engine leverages HyperScanâ€“ an advanced power management technique that provides the fastest refresh rate in scan mode (4 times per second) even at distances over a mile. Our DSP engine uses the latest generation Field Programmable Gate Array (FPGA) running sophisticated signal processing algorithms to reduce false positives while finding weak or distant targets.